The Willow Walk and surrounds was created as our living Field Studies Guide, to integrate and celebrate the diverse environments that exist in Sandown Bay; the historic plants that once gave colour to ancient dunes and an exploration of Sandown’s military past involving the Pluto Pipeline that was hidden here. It was part of our work as the Bay Coastal Community Team and was carved out of a forgotten corner of public realm by a handful of volunteers. 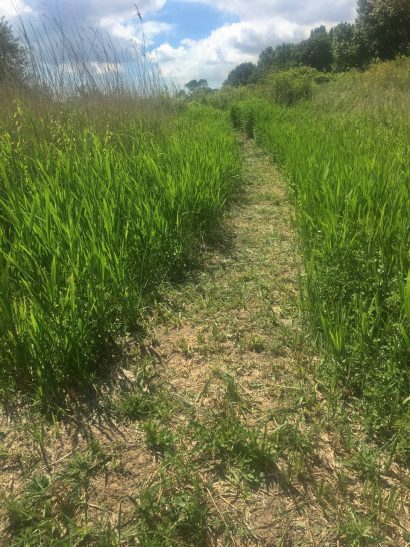 With the help of the Hampshire CRC payback team, a new path was carved through willows and along a stream, bringing you past the Pavilion to the Lost Duver Meadow, ponds and the ReedBed trail beyond. The Artecology and Arc team’s not-for-profit The Common Space is recreating a patchwork of coastal duver flora, the Lost Duver project. 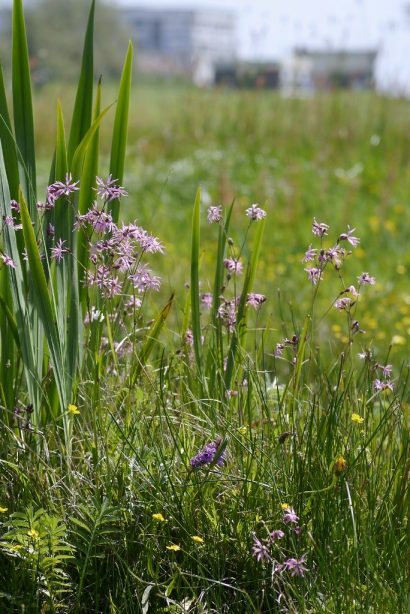 With the help of volunteers, a meadow of ragged robin, southern marsh orchids and more are taking hold. 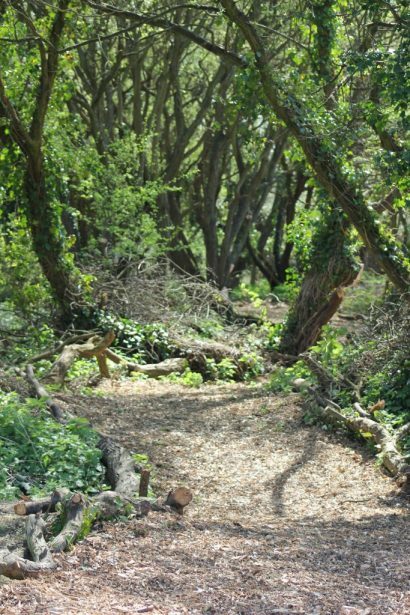 Like the Willow Walk, this part of Sandown’s newest nature reserve is designed as a living guide to coastal flora; a one-stop shop window for visitors and local residents to encounter the whole range of plants they may discover dispersed around the Bay. The walk also incorporates an opportunity to explore the Brown’s Pavilion. 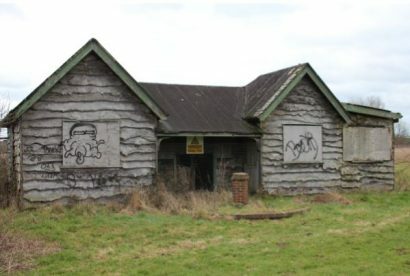 This abandoned building played a part in the Pipeline Under The Ocean operation during World War Two. The Bay played a crucial role in the D-Day landings, hiding the generators and pumps said to have supplied 172 million gallons of fuel to Allied forces in Normandy. 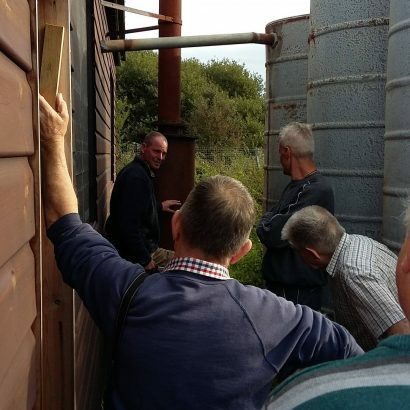 The PLUTO story has brought a whole host of new visitors to the area and the Pavilion now plays host to the Isle of Wight Men In Sheds who meet here weekly to restore the Pavilion generators.